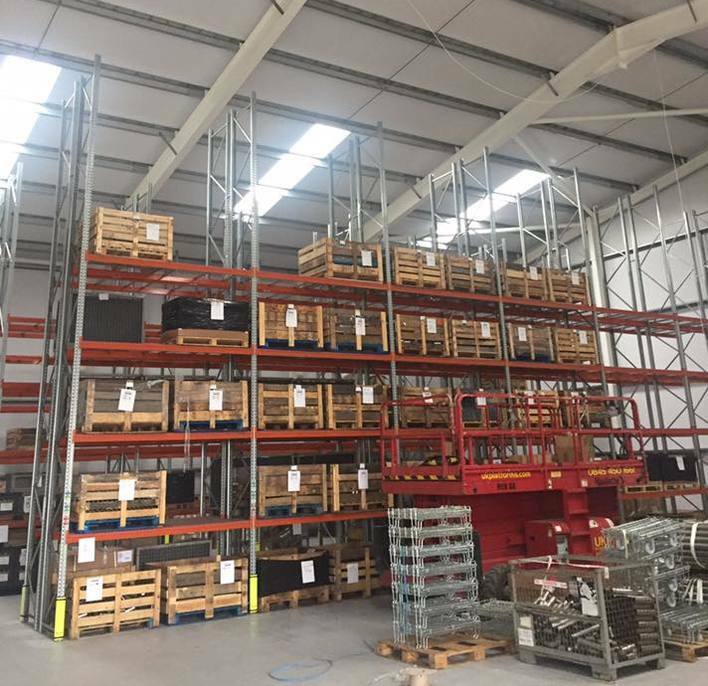 We recently installed low bay lighting and twin spot emergency lighting in two warehouse units for a customer in Daventry - in just three days. You might feel that warehouse lighting is an expense without any return for your business. However, poorly lit warehouses can result in damaged goods, staff mistakes, accidents and unhappy employees. On the other hand, good lighting, tailored to the layout of your storage facilities, will improve your business performance. Lighting controls can also improve the efficiency of aisle-lighting schemes. When no one is working in an aisle, lighting levels can be automatically lowered, saving energy. Did you know? There are guidelines for the levels of warehouse lighting. They depend on the type of work carried out. The Chartered Institute of Building Services Engineers (CIBSE) recommends levels from 100 lux for large item storage areas to 300 lux for packing and despatch and 500 lux for on-site offices and counter areas. Please give us a call if you would like advice about lighting your warehouse and storage areas.